Kenyan authorities are braced for more unrest after the Supreme Court rejected calls to delay Thursday’s presidential election. 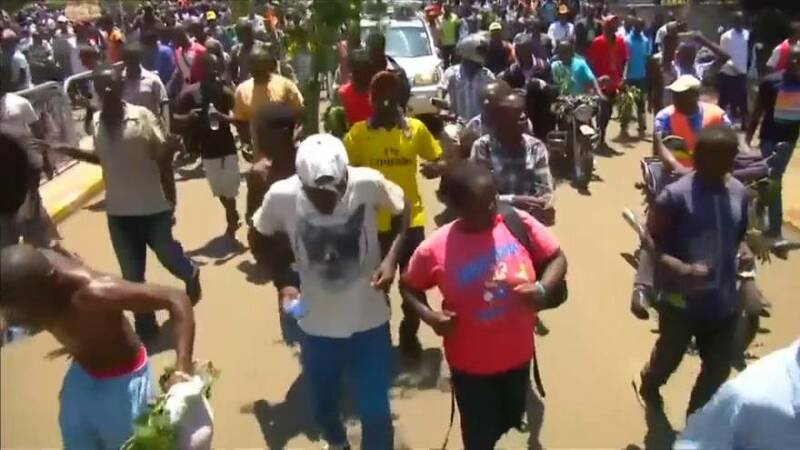 In Kisumu, the stronghold of opposition leader Raila Odinga, hundreds of people took the streets to protest. Odinga had successfully challenged in the Supreme Court the outcome of the initial ballot in August, which he lost. He’s already called on his supporters to boycott the poll because of the election board’s failure to reform. The move comes after not enough judges turned up to make a quorum to rule on a last minute petition. President Uhuru Kenyatta, who won the annulled election (by 1.4 million votes, has made clear the vote should go ahead. Wafula Chebukati, head of the electoral commission has confirmed the re-run will now go-ahead but he can’t guarantee it will be free and fair. Another member of the electoral board has resigned and left the country, saying she feared for her safety as anger continues to be felt over the board’s failure to implement reforms. It’s feared the vote is likely to deepen ethnic and political divides that have frequently triggered violence. Nearly 50 people were killed in Kisumu and Nairobi slums after the cancelled August vote.